The computer building process was extremely enjoyable with the Cooler Master MasterCase SL600M. It was really easy to work with, since everything was laid out in an organized manner. I first installed the power supply into the PSU chamber. Thanks to the removable design of the power supply bracket, I could finish all the cabling and installation on the table. As shown in the above photo, the cables for the power supply can either be routed directly to the motherboard through a small opening on the chamber or to the back of the motherboard tray for better cable management. It is all up to you. The power supply used for this computer is the SilverStone Essential Gold ET750-HG 750W. For CPU cooling, a Reeven Ouranos RC-1401 cooler was mounted on my Gigabyte GA-H170-D3HP motherboard. Note that the orientation of the heatsink was adjusted to align with the vertical chimney effect layout. The position of the motherboard tray opening of the MasterCase SL600M matches perfectly for the CPU position, therefore the heatsink can be installed without any trouble. 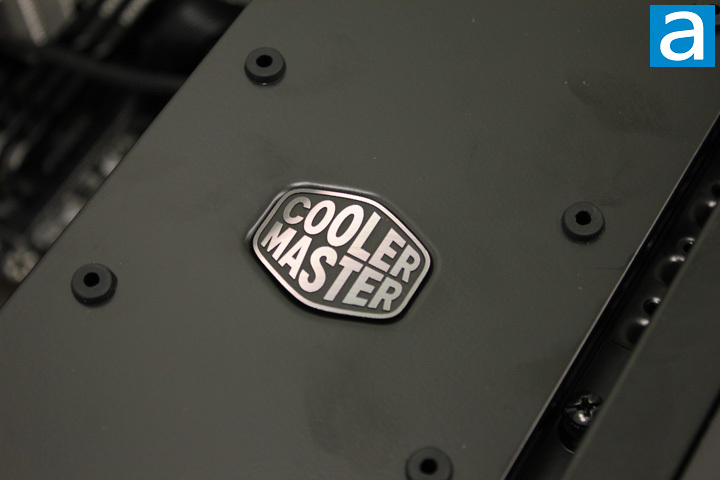 If you like water coolers such as the Cooler Master MasterLiquid ML240R RGB, it can be mounted on the top panel. Air coolers as tall as 191mm can be contained. Otherwise, I did not install any video cards, but ones as long as 318mm can be supported here. Installation of the SSD was fairly easy. First, I unscrewed the SSD tray using a screwdriver to get it detached from the back of the motherboard tray. Then, the OCZ Trion 150 480GB was screwed onto the tray. As the final step, putting the SSD tray back in was very easy. The screw could easily secure it into position. The rest of the installation process was really smooth. The cable management Velcro straps on the motherboard tray were very handy. All the cables were easily fitted into the Velcro straps in my case. The MasterCase SL600M is quite friendly to users that may not have a ton of experience in computer building, even with some notable differences to other cases. After everything was installed, it was time to press the power switch. As you can see from the above photo, the backlit USB ports and the power switch are illuminated once my hand with the camera getting close to the computer case. When I move my hand off the computer case, the LEDs turn off. This feature prevents the computer case to be a distraction if you do not need any LED lighting from your computer, while still making the USB ports visibly accessible in the dark. I am the kind of person who really cares about the noise level of my computer. In this build, I had three fans running in the case. As it turned out, my computer was really quiet, thanks to the high quality fans from the Cooler Master. On the scale of 0 to 10, where 0 is totally silent and 10 is a jet taking off, I would rate my system at 3/10 regarding noise emissions. If you want to add more fans while keeping the noise low, fans with rubberized pads such as the Cooler Master MasterFan Pro series can be used. The low noise is mostly due to the larger fans utilized running at lower speeds. This combination results in a decent airflow without getting too loud. After using the Cooler Master MasterCase SL600M for several days, I can safely say this case is endowed with both brains and beauty. It is the smartest case I have used as I really enjoyed the illuminated USB ports and the use of a motion detection sensor. This feature makes the SL600M a perfect choice for darker areas like the bedroom, where you can finish your work at night and get some sleep without a problem. Besides being smart, this case is also good looking both internally and externally. 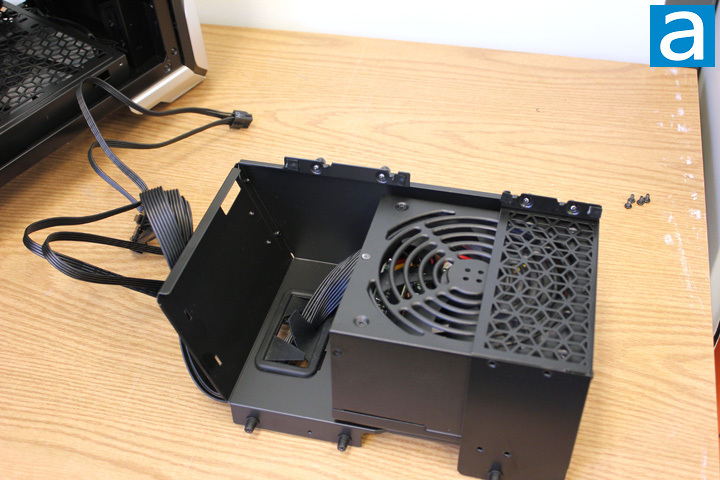 The inside of the case features vertical chimney effect layout, which make the PSU chamber design very unique. This enclosure provides large degree of freedom in terms of mounting the PSU, since both the PSU mounting place and the PSU chamber length are adjustable. The outside of the SL600M is also very gorgeous. The front panel is made out of a single piece of solid aluminum sheet. The aluminum panel can also be found on the top panel as well, which makes the whole case nice and sleek. The side window also keeps in line with the trend of tempered glass in cases. When it comes to building a computer using the MasterCase SL600M, it is also an enjoyable experience. Being able to cable the power supply outside the case and it putting it back as a module is an easier process than other cases. 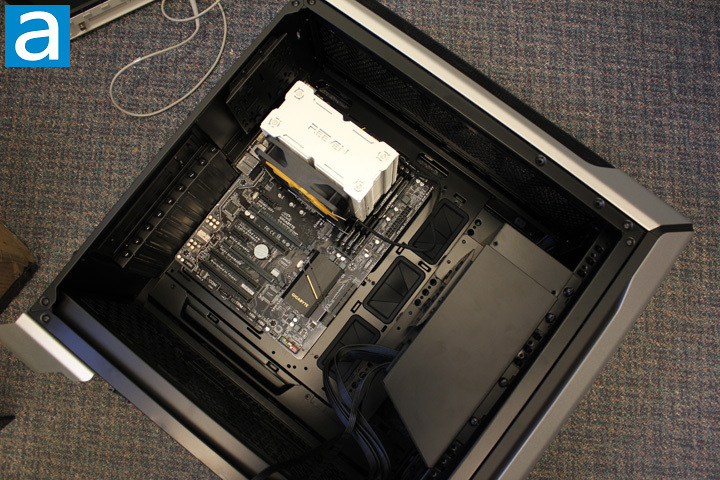 The case also features sufficient clearance for many parts such as radiators, CPU coolers, and graphics cards. Finally, spacing in the back for cables is quite sufficient and made easy with the included Velcro straps. The only suggestion I can make to improve this product is to smooth out the aluminum stands to remove the sharper edges. The retail price of this product at the press time is about $220 USD, which is definitely not the cheapest of cases out there. However, I think it is acceptable considering the great design and quality of this product. 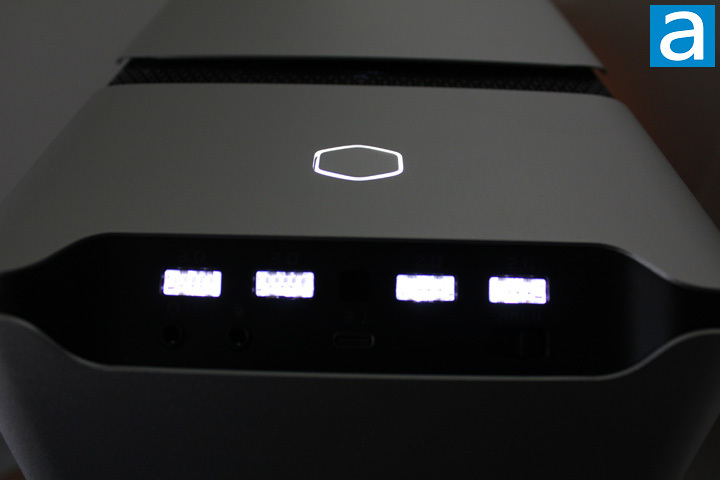 The Cooler Master MasterCase SL600M is endowed with both brains and beauty. Do you have any comments or questions about the MasterCase SL600M? Drop by our Forums. Registration is free, and it only takes a minute! posted 3 hours and 35 minutes ago, with 1 posts. posted 3 hours and 35 minutes ago, with 2 posts. posted 3 hours and 36 minutes ago, with 8 posts. posted 3 hours and 36 minutes ago, with 7 posts. posted 3 hours and 40 minutes ago, with 15 posts. posted 3 hours and 40 minutes ago, with 59 posts. posted 3 hours and 40 minutes ago, with 14 posts. posted 3 hours and 41 minutes ago, with 11 posts.